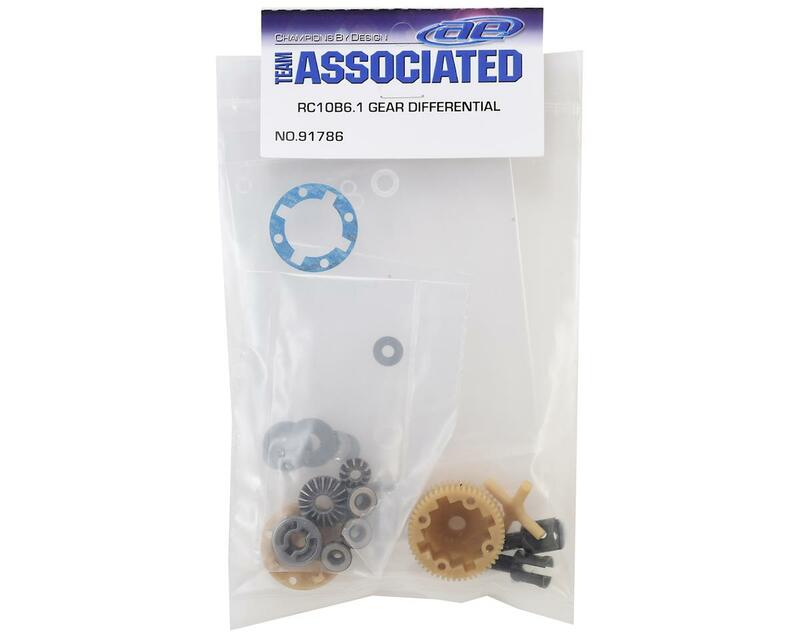 Team Associated B6.1/B6.1D Gear Differential Kit. 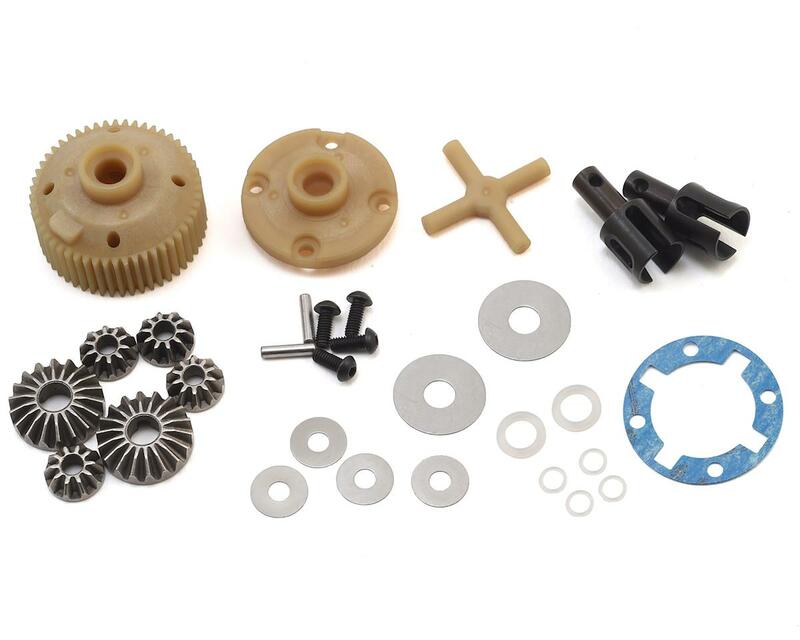 Package includes all the parts needed to build one gear diff. Needed a gear diff for my B6 laydown. This kit worked perfectly in my situation. No shims, no slop, fit with no issues. Have had this diff in my SC6.1 and B6.1 with a layback and a laydown trans with ZERO issues. Is a must for extremely high grip of any type. Does not fit in B6.1D 'Lay-back' transmission! I tried with my new B6.1D and this diff IS TOO WIDE to fit in the Lay-back transmission case. The 'Lay-down' transmission case that it is designed for must be substantially wider than the Lay-back transmission that comes with this kit. Don't waste your money. I am guessing that no one tested the gear diff in the Lay-back transmission before. I expected more from Associated.